Venice is a place that invites cliches. 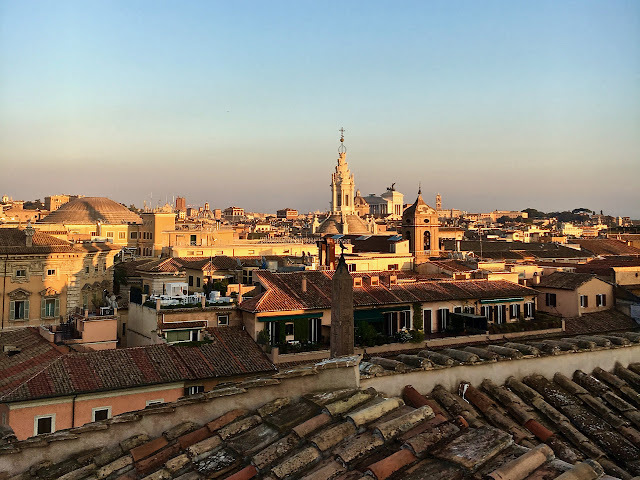 The faded glamor of crumbling palazzos slowly sinking, moonlit gondola rides on quiet canals, Drinking a Bellini in a fancy hotel bar; I get it. I have probably told you how to do it! 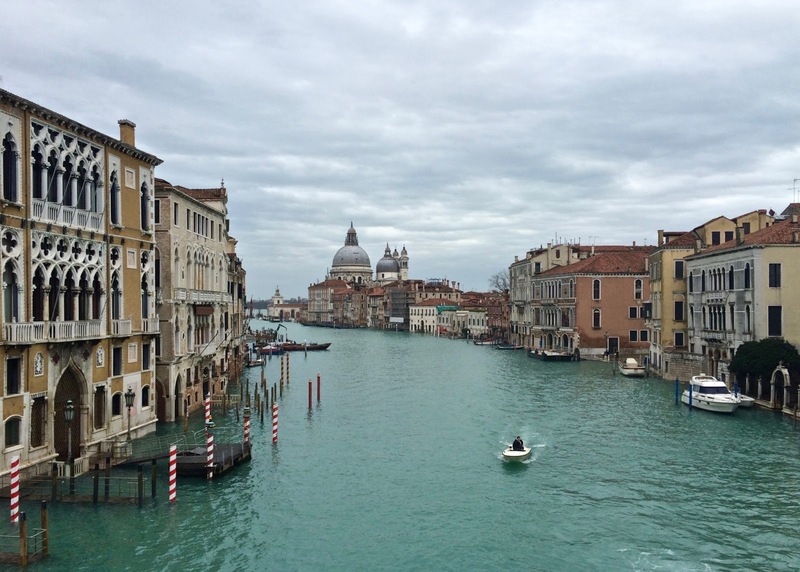 Venice relies on these cliches and on the tourism that the cliches bring. That very thing that sustains the city also has a choke hold on it. The narrow calle get clogged with endless lines of visitors going from the Piazza San Marco, to the gondola ride on the Grand Canal to a forest of selfie sticks in front of the bridge of sighs. But lost in the crowds is another side of Venice. 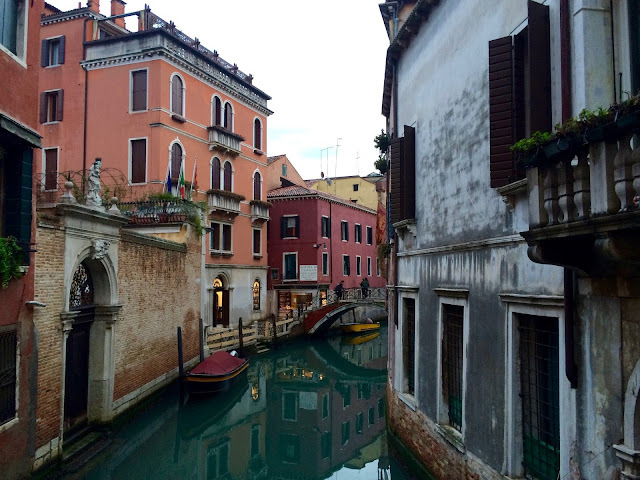 A quieter, authentic, living city that Venetians would really like to share with you. 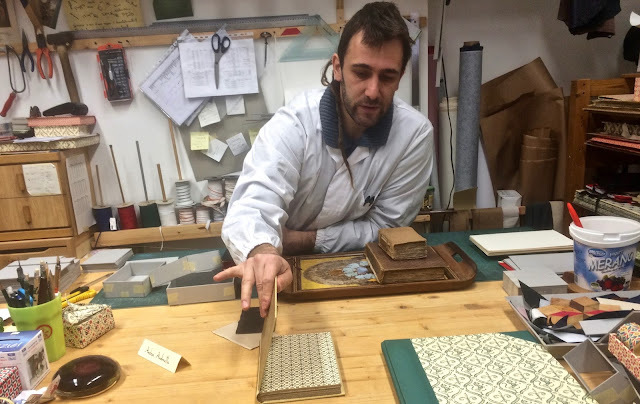 At the beginning of the year, A Taste of Venice and VivoVenetia invited me to meet some passionate artisans, visit their workshops and see their Venice. They would love to meet you. Have you ever really looked at a Gondola? Did you know that it is made up of 280 pieces? Or that eight different kinds of wood are used in its construction? 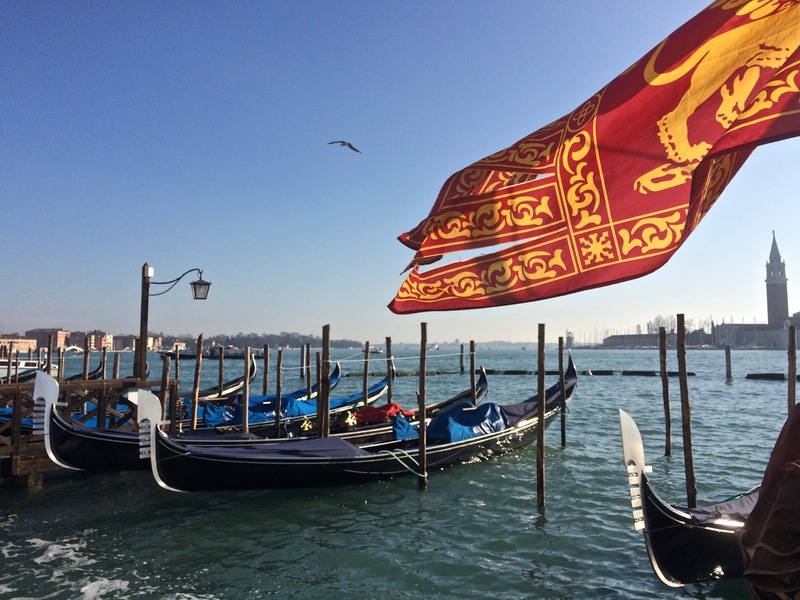 One of the most important parts of the gondola is the Forcola, (in English an oarlock.) 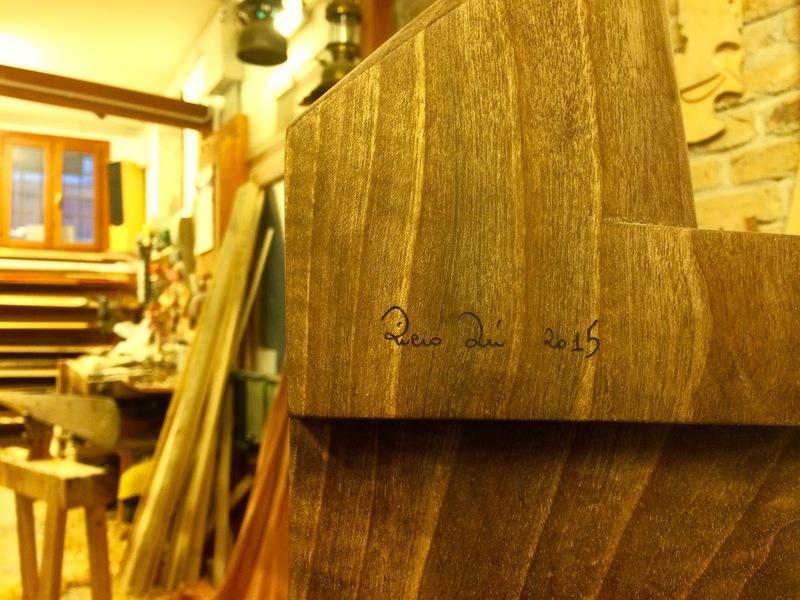 This whirl of walnut is hand carved and is the fulcrum of a gondoliers oar as he rows. 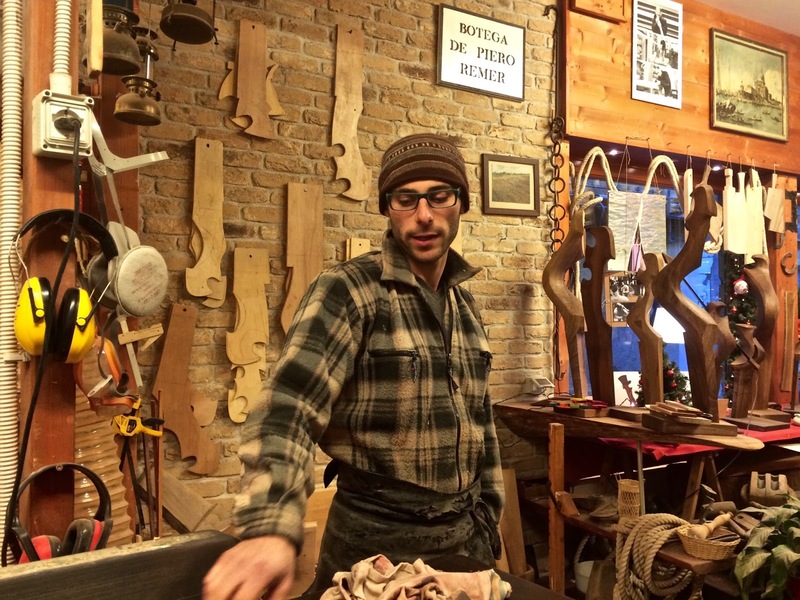 Piero Dri starts with a large piece of wood and slowly saws, carves and whittles to create a solid piece that is eventually fitted into a gondola. Piero, one of only four artisans in Venice who make Forcola, also handcrafts oars for rowing clubs and creates creative decorative items that reflect the traditional utilitarian pieces. Right now the Rialto bridge is kind of a mess. The entire thing is covered in boards and scaffolding for a major renovation. This only adds to the already general chaos. There is one tiny spot, do I dare say a gem, almost at the top that is worth braving the crowds. 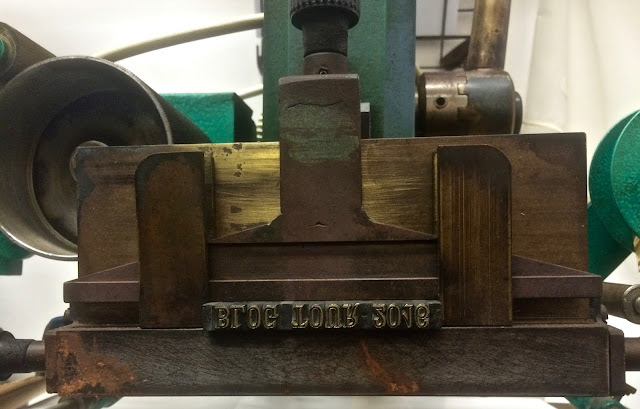 The Jovon family has been making intricate cameos here for generations. 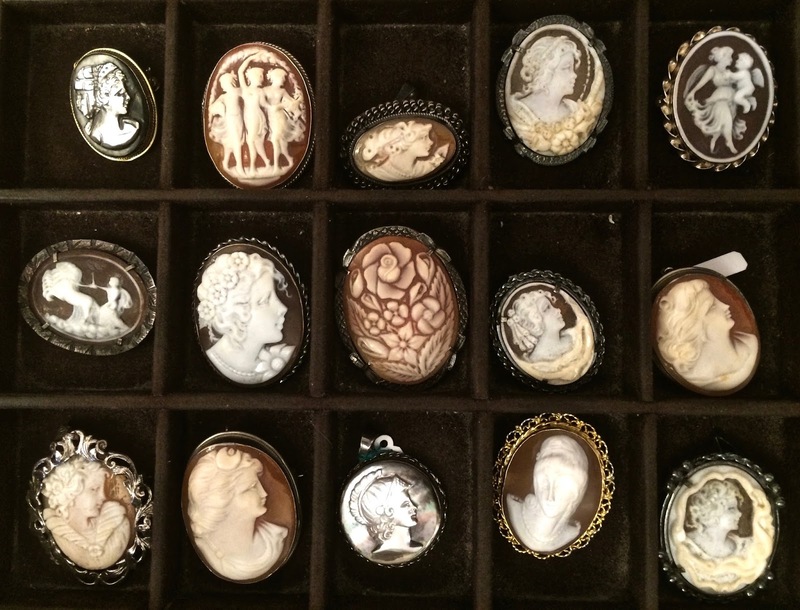 You can bring a photograph and have them transform it into a piece of jewelry or chose from their collection of antique pieces. I am dreaming of pair of Intaglio glass cameo earrings the color of the Venetian lagoon. 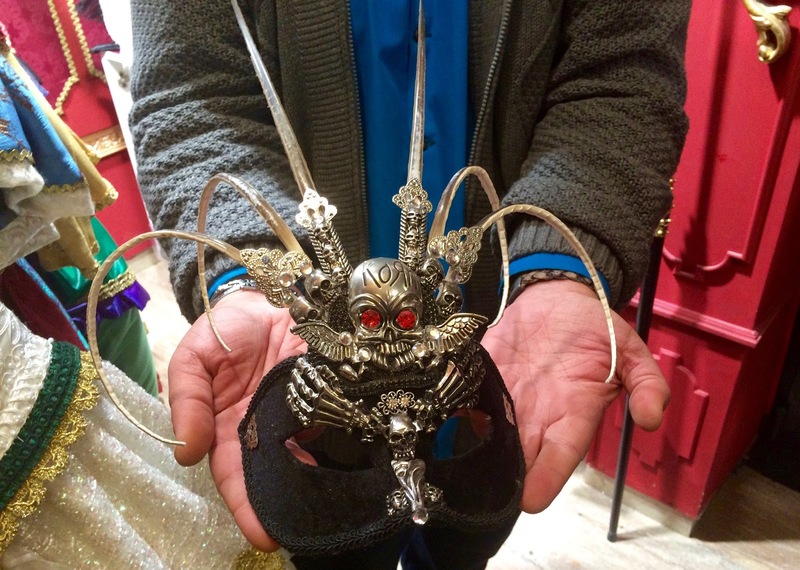 Carnival season just ended in Venice, but Igor and Giulia work all year round in their workshop near Piazza San Marco creating masks, gowns, and elaborate costumes. Each bead and velvet ribbon is sewn by hand. 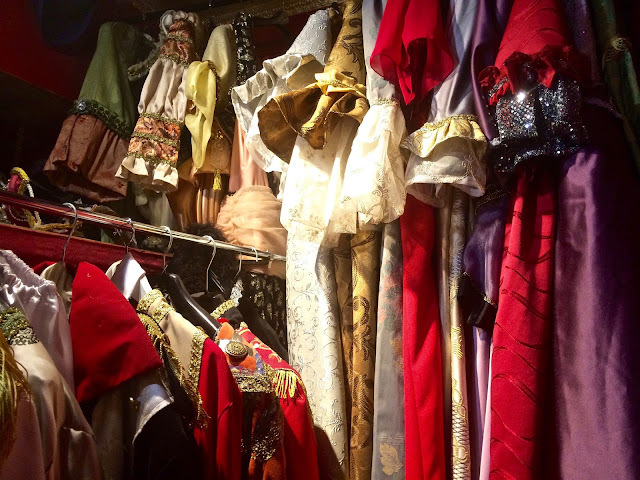 You can make your dress up dreams come true with a visit here. Choose a costume and a mask and the pair will snap 100 pictures of you beside the Grand Canal. 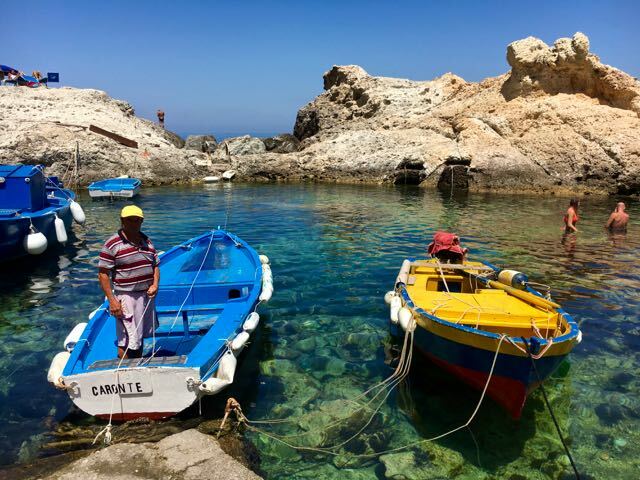 You have probably heard about the glassmakers who work on the island of Murano. (I will be telling you about them in a post soon.) You may not know there is a second craft connected to glass in Venice. That of the Impiraressa, which is a bead stringer. In the 15th century women patiently strung the tiny glass seed beads into long ropes to be traded in faraway lands. 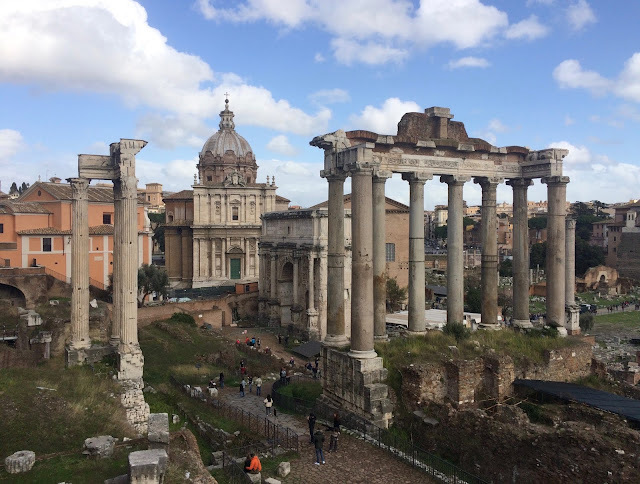 Marisa Convento is an Impiraressa for the 21st century. She hand strings tiny Murano glass beads into long thin strands or elaborate creations in her workshop on the shop-lined Calle della Mandola. This cozy shop in the Castello has hand stamped prints, small sculptures made from reworked pieces of lace bobbins and sweet soft dolls of Fioconeta, an imaginative kitchen witch that appears in a charming series of children's books. The dreadlocked Andrea Andreatta, in the company of his shy cat, restores battered old books and creates painstakingly crafted new ones using traditional techniques and materials. Andrea is enthusiastic and friendly and happy to explain his craft. 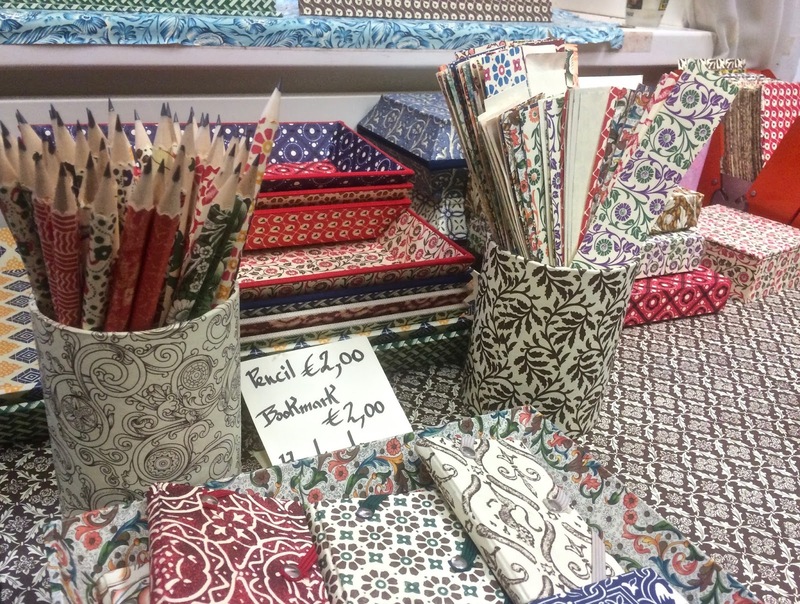 He also makes the decorative paper recreating traditional Venetian designs. You can buy a notebook, box or personalized diary. I believe that food is art and chocolate might just be it's highest form. 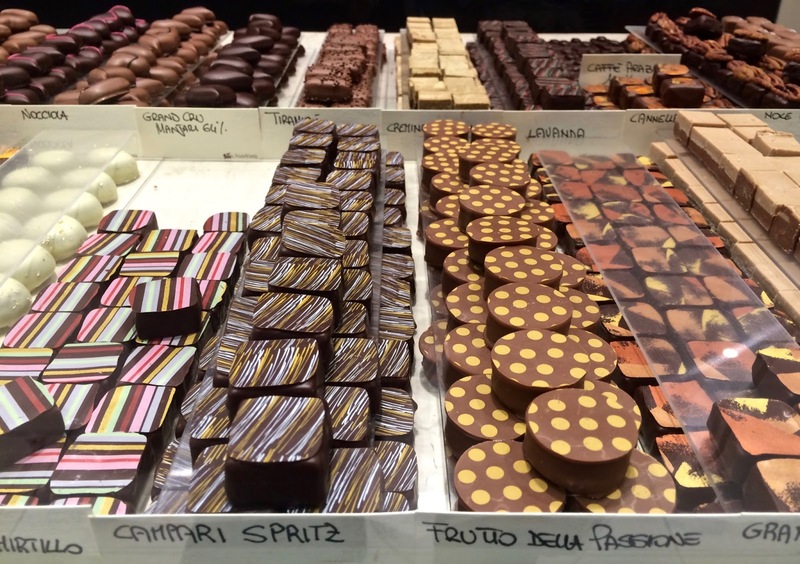 This elegant shop tucked away in a quiet campo not far from the Rialto bridge is filled with chocolate in just about every form. There are seats along one wall where you can try an old-fashioned style of Venetian hot chocolate, made with cocoa, spices, and water or a rich slice of chocolate cake. The glass cases are filled with colorful, precisely made pralines in flavors like balsamic vinegar and Campari spritz, slabs of dark, milk and nut-studded chocolate, glassine bags filled with chocolate covered nuts or coffee beans. 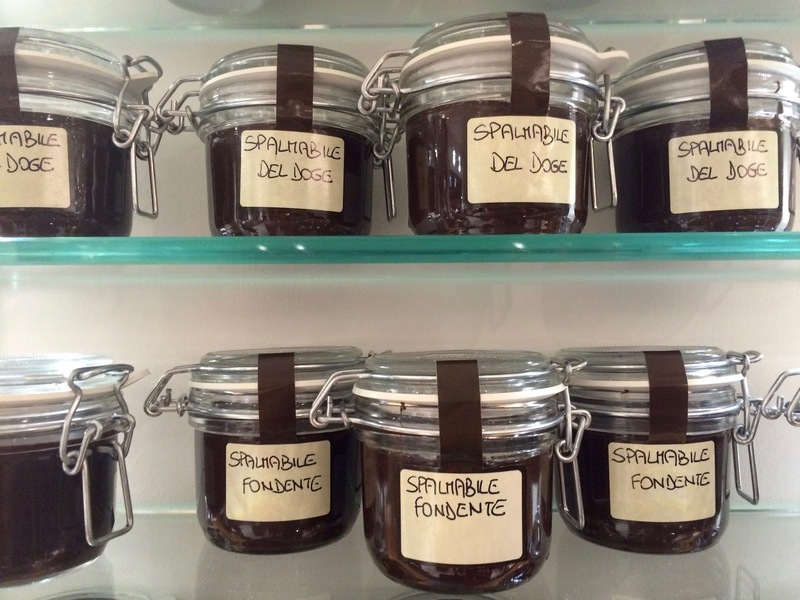 This master chocolatier Mariangela Penzo also makes a divine chocolate hazelnut spread. Each of these Venetians is passionate about their craft and their home, bringing a different shade to the proverbial rose-colored lens than the visitor views Venice with. 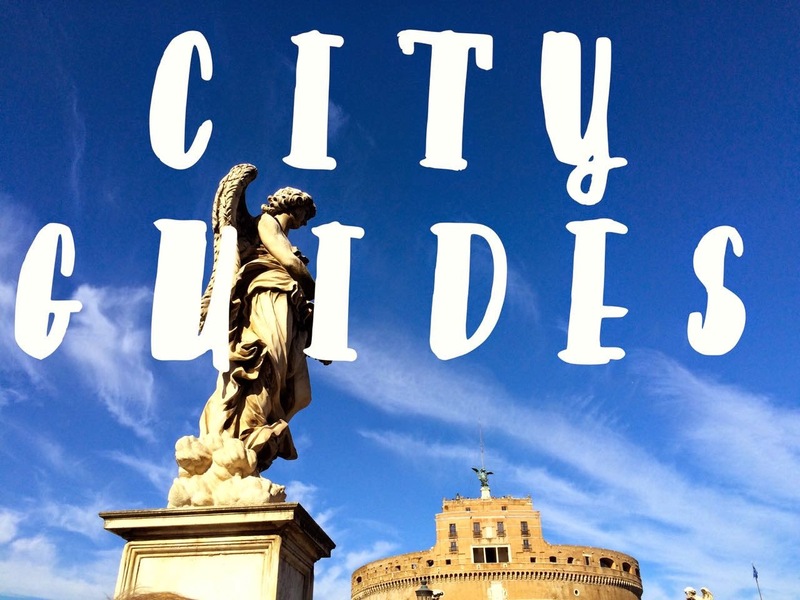 Once you do the tourist thing, take a step off the well-worn route and explore this creative parallel universe. 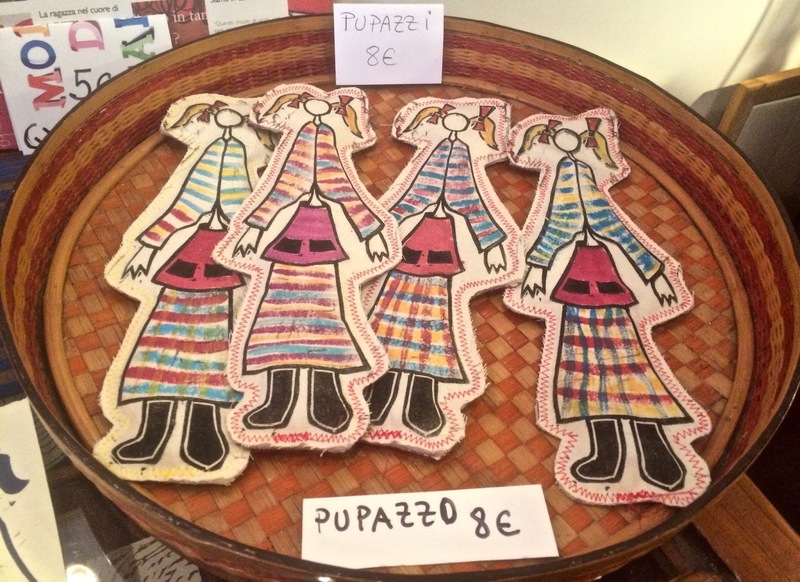 VivoVenetia can help you organize a few hours or a few days meeting and working with these artisans. Wonderful post, thank you so much G.
Well, of course now all I can think about is a pair of artichoke cameo earrings. Great post Gillian ! Thanks a lot ! 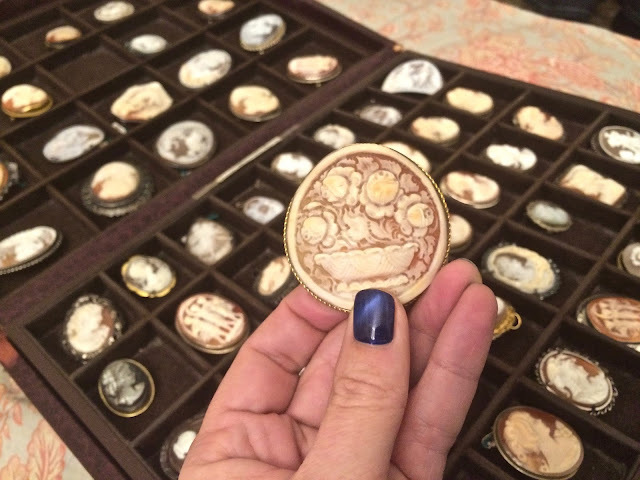 Hope to see you soon in Venice , there are so many other unexpected things to discover ! We are looking forward to spending our anniversary in Venice this coming June. Thank you for the wonderful places to visit!